Pinterest’s latest push into the e-commerce space isn’t going unnoticed as one industry giant is seemingly looking to beat them at their own game. 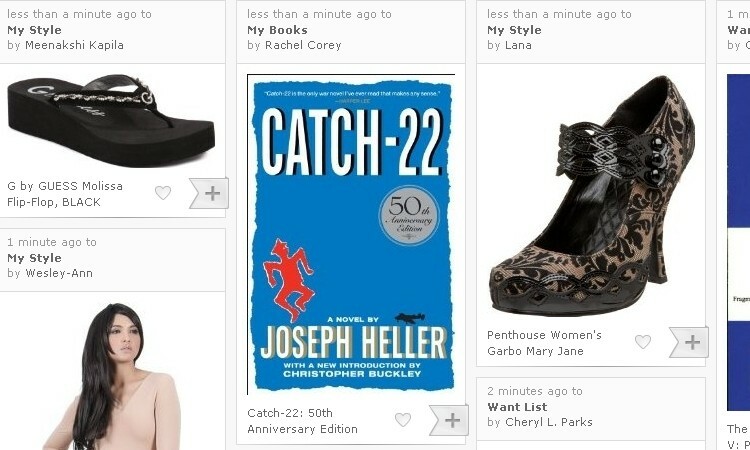 Amazon recently launched a new feature called Amazon Collections that allows users to sort items on their wish list into different categories in a format that looks eerily similar to Pinterest. Collections allows users to “pin” things they like, want or recommend to a virtual corkboard. Each user starts off with three different categories by default – my style, want list and possibilities. These are just guidelines to get started, however, as you can create as many or as few Collections and lists as you want. From here, it’s up to the user to scour Amazon for various items to add to their Collection. The front page for Collections has several lists already going including Books, Movies, Music, Men’s Fashion and Women’s fashion, just to name a few. Additionally, users are invited to follow others and even “heart” items they like on others’ Collections or add them to their own Collection. The site has been in a private testing phase for a while (at least since April) where Amazon invited bloggers and other public figures to try it out. Early feedback looks positive, even if some people were paid for their time. Even after the public (albeit, quiet) rollout, Collections is still in somewhat of a beta stage. Whether or not the feature hangs around for the long haul likely rides on its early success.